After several months of being off the longest running noon time show, Ryan Agoncillo returned to “Eat Bulaga” on Monday, November 5. 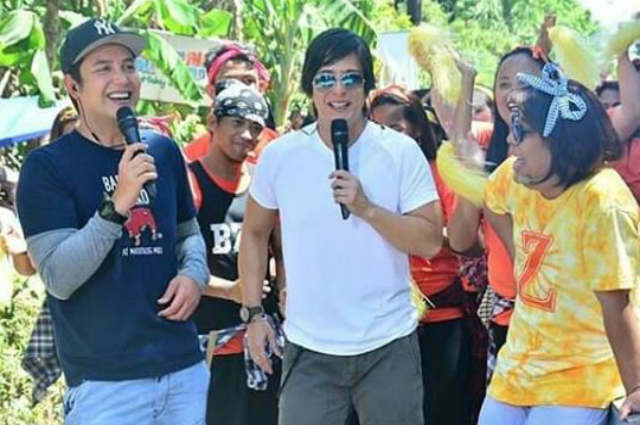 During the said episode, Ryan left fans gushing as he joined Dabarkads Paolo Ballesteros and Wally Bayola in “Juan For All, All For Juan” and the rest of the segments in the barangay. Pauleen Luna greeted Ryan who was dancing with the Dabarkads in ‘Zoombarangay’ and asked him to flaunt his moves. It can be remembered that Ryan took a leave from the show to treat his knee injury due to a motorcycle accident.